My oldest child just started middle school, which in the United States generally means sixth through eighth grade, or the years between elementary school and high school. Middle school has a tough reputation. It’s a time of huge change in every way possible. Kids go from being in one classroom pretty much all day to moving from class to class and managing multiple teachers’ expectations. They are also surrounded by many new faces from several different elementary schools that are blending together for the first time. Students are in every different phase of personal, physical, and emotional development. It’s the wild west of adolescence. In the process of watching and listening to my son’s experiences, it’s hard not to go back to those days in my head. Each up and down that he experiences reminds me of something from my past. He will even ask sometimes if a particular situation ever happened to me, and of course, I always have a story to share. And as we swap stories, those old feelings come roaring back to the surface. As parents, we want to spare our children the harsh moments we experienced and exalt them into the glorious ones, but life doesn’t work that way. One evening, I was attempting to encourage my son to try getting to know his new classmates even if it feels awkward, and I asked my husband for backup. I couldn’t help overhearing their conversation. My husband was talking about when he went to college. It was a huge school in a new city, and he didn’t know anyone. He decided to go to a freshmen welcome party at a different dorm. Looking around, he noticed a guy wearing a concert t-shirt for a band he also liked. My husband decided to go up to the guy and comment on the shirt to start a conversation. The two got to talking, and they decided to hang out. T-shirt guy took my husband to his dorm to meet some friends. One of those friends was me. We became pals, a year later we started dating, and the rest is history. We went to a huge school, lived nowhere near each other, and studied completely different things. Looking back, if my husband hadn’t created an opportunity over a t-shirt, we easily could have never met. I like to think that this talk gave my son some perspective. It sure gave me some. As much as I don’t like seeing my kids uncomfortable or struggling, it’s so central to growing up. Learning to be comfortable in your own skin through trial and error is essential. It’s not just that middle school happens to you. Life happens to you, and it’s up to each us to face it on our own two feet. How do your children cope with new places and people? Has a simple “hello” ever changed your life? 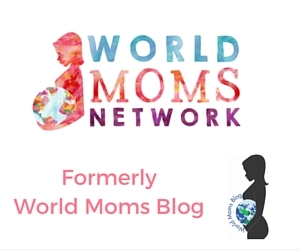 This is an original post for World Moms Network by Tara B. of the United States. Photo credit: University of Michigan School for Environment and Sustainability. This picture has a creative commons attribution license. Sometimes we need to create the opportunities. It’s never easy but it can definitely make a difference. I am not at ease with people I don’t know but since I am a mum I do try to be more flexible and I try to engage with people, so my son would do the same. 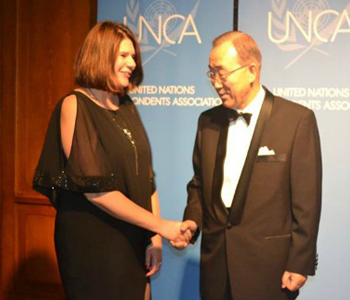 One Hello can change the story – yours is a wonderful example Tara.